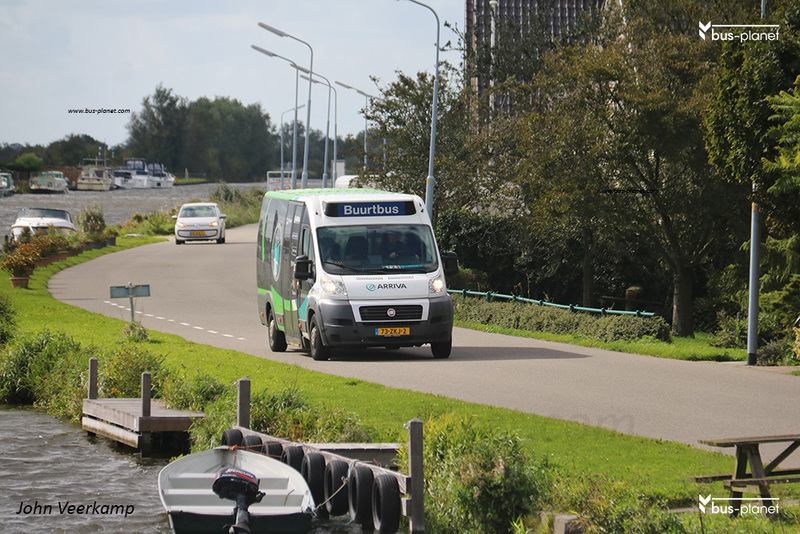 For the neighborhood bus projects in the concession Arriva ordered five FIAT Ducato adapated by Tribus to their model called the Civitas, providing a widen entrance door and wheelchair space. Bus 6514 was sold for export in June 2016, the others were exported in 2018. Picture(s) taken by John Veerkamp. Netherlands. Buitenkaag. dd: 2017-09-13.